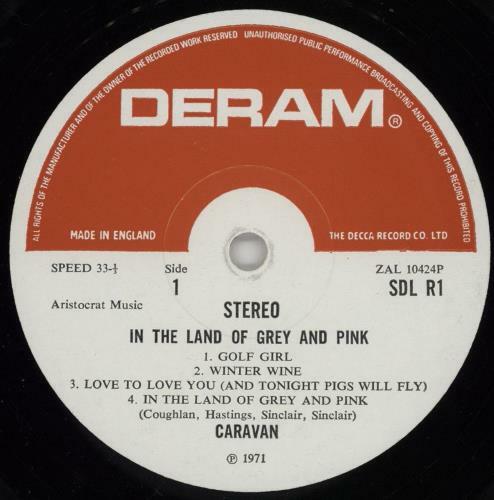 CARAVAN In The Land Of Grey & Pink (Mid 70s UK second issue of the 1971 5-track LP on the red & white Deram label, the band's third & most well-known album, considered a classic by fans & critics alike [the album recently received a remastering overhaul by Porcupine Tree's Steven Wilson], front laminated gatefold picture sleeve featuring cover art by Anne Marie Anderson. The sleeve displays only light shelfwear & the vinyl remains in Excellent condition with just the odd light blemish/scuff to indicate play SDL-R1). 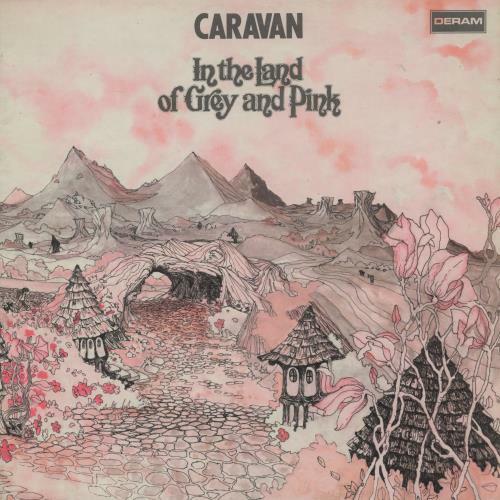 or visit our Caravan image gallery.